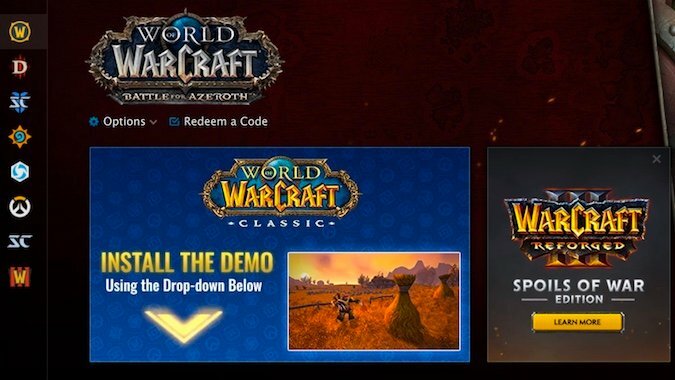 The World of Warcraft Classic demo is here for BlizzCon, and you’re probably more than ready to get playing. 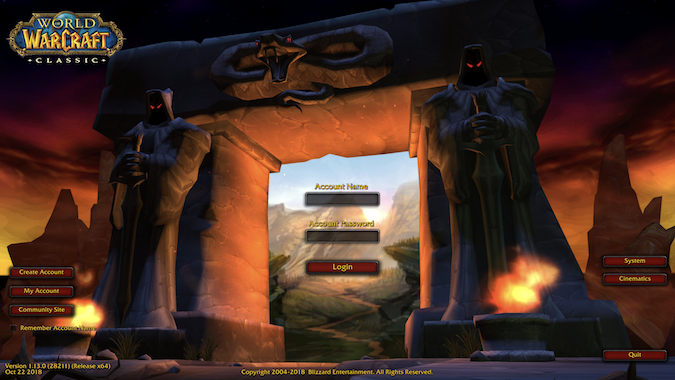 First step to getting into the Azeroth of 2004 is to download the client. If you purchased a Virtual Ticket, go to the bottom left corner of the Battle.Net game selection screen. 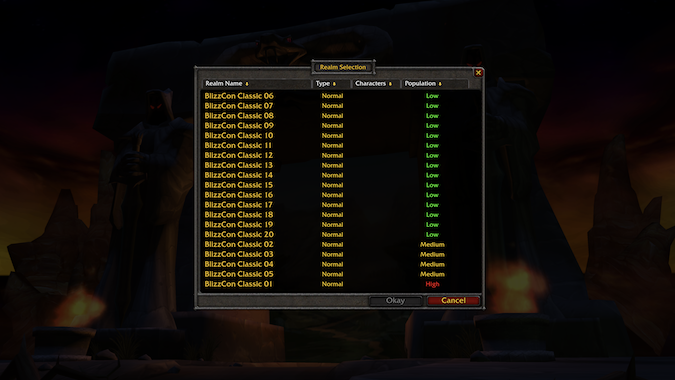 The pop-up menu with “Region/Account” will show you WoW Classic as an option. Click on that and wait for the game to download. It’s 8.95 GB of data so plan accordingly. If the play button doesn’t light up, restart your battle.net client and you should be good to go. Once you’ve downloaded the demo — and I recommend you wait until it completely downloads — you’ll see the log in screen. This is followed by a select realm screen. There are 20 realms created for demo use. Now is a good time to explain game time. You are allowed to play for a maximum of 60 minutes. Once that’s reached, you will be automatically booted from the game and cannot log back in for 30 minutes. This allows the maximum number of people a chance to play. There is an icon in the upper right of the screen — by the mini map — which will tell you your time left before you are booted. Enter your current account information, select your realm, and you’re taken to the character creation screen. Be still my heart. How I remember this. I’m nothing if not predictable. This is what my original character looked like. I’m quite giddy with excitement. 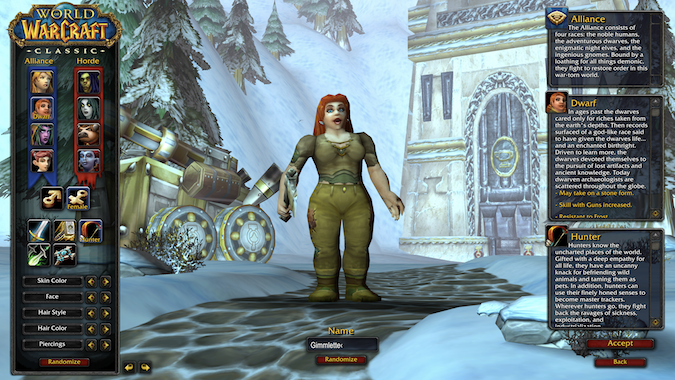 When you log into the demo, you’ll be deposited at the NPC you would have met when you were sent to the main city during Classic. That’s Gryan Stoutmantle, for you Alliance people. Turn in your first quest — which is a “Hi! I’m here” quest — and you’re ready to get playing. When you accept a quest, it appears as if someone is writing the quest text which can be maddening to watch, as we’re used to it instantly popping up on the screen. I didn’t start with a boar when I played originally. I had a Loch Modan bear, but oh well. This is Princess’s original skin — for those who remember who Princess is. I couldn’t rename the boar, however. 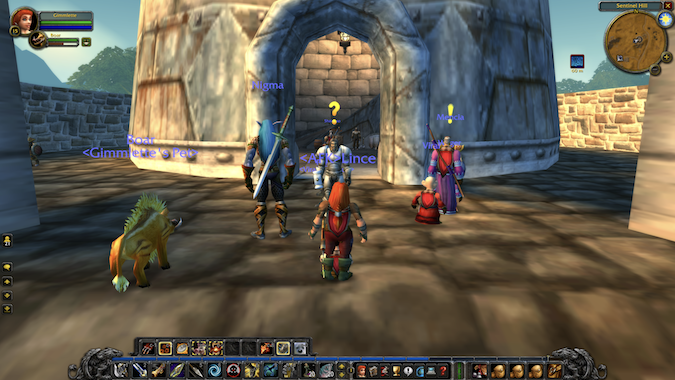 Back during Classic, you had to physically leave the zone for pet names to stick. 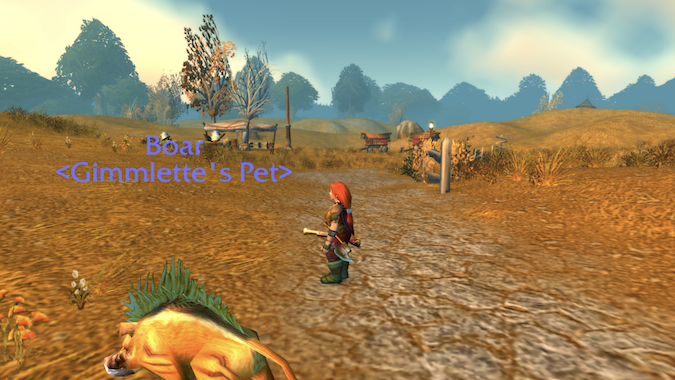 You can’t leave Westfall so this may be “Boar” for the next few days. I don’t remember Sentinel Hill being so devoid of buildings. This is all you have to do to get started. If you see me, give a wave. Have fun, folks. I have to go kill some gnolls.